Here at Coco Boudoir we 100% honestly you are perfect just the way you are right now. But we don’t live in Lala Land and we realize that YOU may not agree with us. You may want to lose that last 10 lbs from the birth of you last baby or you may not be able to walk up a flight of stairs without getting winded. That’s where Wendy comes in! This woman can be sure to whip you in to shape and in no time you’ll be running up the 5 flights of stairs of our studio to rock out your Coco Boudoir session to celebrate! Why did you start your business?Â What inspires you? I started my business so I could live my passion for health and create my own schedule as a single mom. Where do you see your business in the future? I would like to have a small studio with a space for fitness, lectures, and yoga as well as a huge kitchen to help get people involved in clean, unprocessed eating. How do you balance work/family? Luckily, my work is what i love so when i’m “working” it is a lot of fun and incredibly fullfilling. Being a single mom I schedule all my work around my two boys’ school and activities. If my boys are happy, I’m happy, and everything falls into place perfectly. Chips or chocolate? chocolate. lindt 70% cocoa. 1 piece a day. Secret weapon: bosu and a band. limitless workouts. Little known fact: quinoa (an ancient grain) is a complete protein and carbohydrate. superfood! Thanks for dropping by Wendy! With all the recent inquiries, we thought we would clarify one of our most asked questions. The location. Â Our downtown studio boasts 2000 sq ft of space for you to rock your session! Hair. Our stylist will make your coif swoon. Makeup. Our artist will give you a celebrity worthy look. 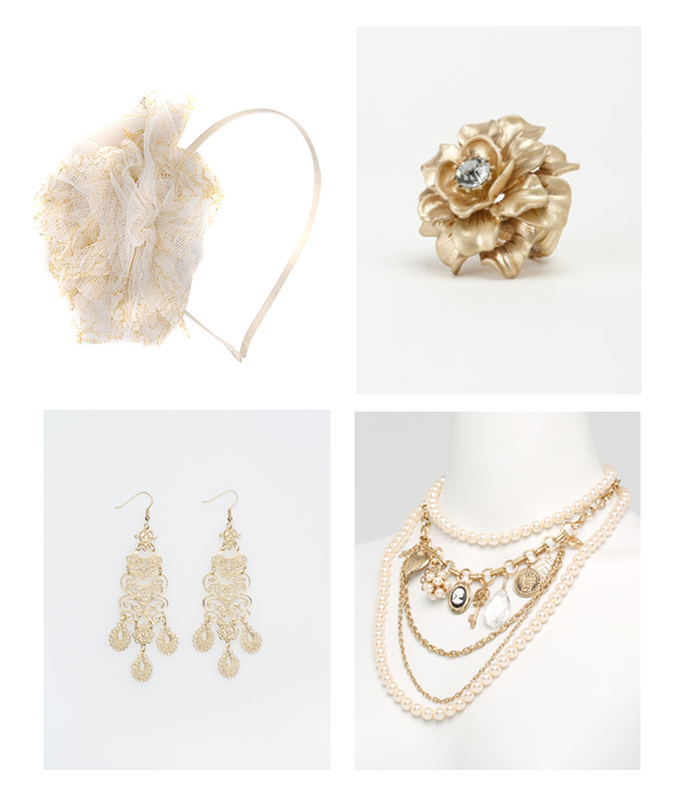 Accessories and a few non intimate clothing items. We encourage you to bring your own things as well to truly personalize your images. Bubbly! We provide champagne/wine, juice and water. Â You are more than welcome to bring your own selection to help take the edge off. Time and talent of 2 photographers. What’s better than 1 professional photographer? 2! Access to your own 7 day password protected online gallery. Prints products and digital negatives areÂ sold separately. Please inquire for our full price list. Â We have scoured all over North America to bring you the highest quality products . We can’t wait for you to have your very own. Â Book your session today! Eek! We missed Makeover Monday yesterday, but for good reasons. Â We were out all day (and weekend) in search of new items for our studio and Coco Petite sessions being held this Saturday! We also wanted to have our newest staff member have a turn at Makeover Mondays, but thought it would be better to introduce her first. So here she is! 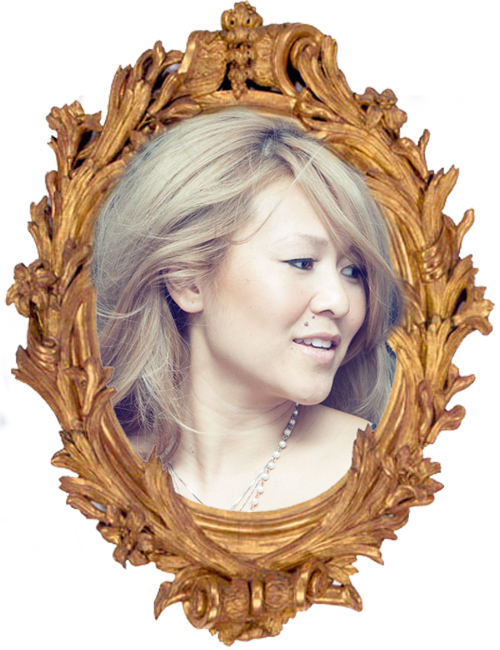 Meet Somboun, Coco Boudoir’s official hairstylist. She is truly amazing at what she does! Â When she’s not tending to Coco clients you can find her at Society Salon working her magic with her 4+ years of experience. You’re definitely in talented hands when you come to Coco Boudoir, I know this first hand asÂ Somboun was my personal stylist before she moved to Germany in Dec of ’09. My poor hair was mourning its loss for over a year when we heard the exciting news that she was moving back! So needless to say I nabbed her for Coco the moment her feet hit Canadian soil. Welcome to Coco Boudoir Somboun! Â We couldn’t be more thrilled that you’re joining our team. Â If anyone is looking for an extraordinary hairstylist of their very own make sure you contact Society to book Somboun. Next up in our Little Black Book is a husband and wife design team! After being at the wedding show last month I so want to get married again…to the same man, of course;)…what’s out there now for wedding planning is really astounding. You can plan such a personalized experience now that just wasn’t available 13 years ago. From decor food and venue, to completely custom invitations,seating cards and menu cards. Which is what this couple specializes in! Jessie & Tyler’s dream to start their business was conceived with the planning of their own wedding. How awesome is that?? 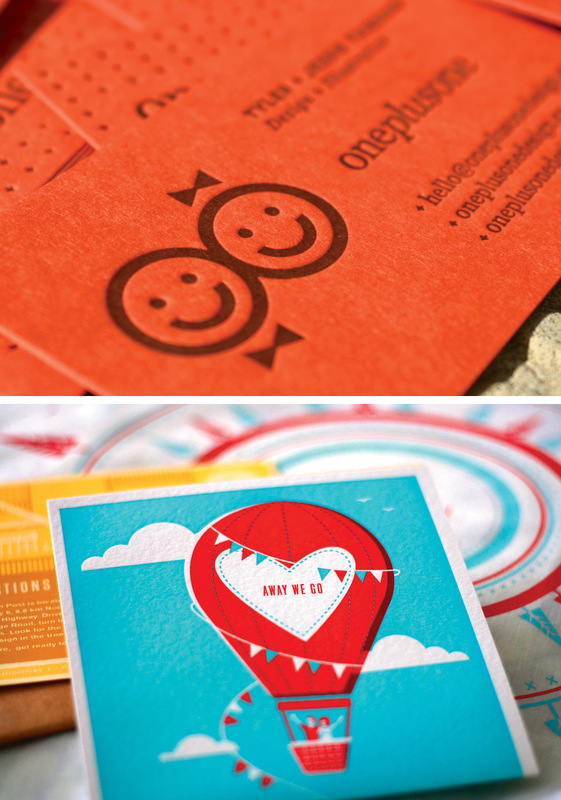 Meet Jessie & Tyler of one plus one design + illustration. When was your business revealed? Our website officially launched in co-ordination with our wedding this past June, however the business is still in development. Look for an official launch later this year! Why did you start your business? The idea for our business was born out of our wedding. Both being graphic designers, we found it thrilling to be able to design our own wedding materials, from top to bottom, and make the wedding truly our own. Along the way we realized, ‘Hey, why not help others as well?’ Every couple is unique, and working with them to flush out their details can be an extremely rewarding process for everyone involved. What inspires you? Everything! We find inspiration in just about everything we see, touch and do! We love old things such as vintage books, toys, tins, and matchbooks. We love to travel, and try to jump at every opportunity we have to explore somewhere new. On top of that, we have an incurable addiction to music and try to keep it nearby at all times. What does you business offer? We offer a passionate and original approach to wedding stationary and day-of-details. This includes different aspects such as wedding invitations, table numbers, seating charts, menus and more. We love getting to know new people, and we help them inject their personalities into their wedding day through storytelling and great design. How do you balance work/family? So far, so good. Chips or chocolate? This is a hard one! Tyler: chips Â Jessie chocolate, unless you’re talking about nachos, then I’d go with chips. Thanks for visiting our blog Jesse + Tyler! We love providing our clients with different options of accessories. Â It’s so exciting when our pieces match our clients outfits and personalities perfectly! Â Our collection seems to keep growing weekly as I’m a bit obsessed with bling (lucky clients) and while we do seem to find quite a bit of our accessories at obvious places like jewelry stores, nothing makes us more giddy than finding that one of kind piece at vintage boutiques. This week I decided to go with a soft peach and gold vintage look. Â Can you believe that everything shown below was less than $55! (Finding a deal is a close second in the giddy department btw.) The necklace ($35) and earrings ($10)Â Â can be found at Le Chateau. Â The headband ($6) hales from Forever 21 and the ring ($4) is from Charlotte Russe. We’ve got lots of accessories on hand for you to indulge yourself in, but we of course also encourage you to bring in some of your own pieces to add, and truly personalize your once in a lifetime experience. We hope to give you inspiration with our findings each week, so when it’s time for your session, you’ll be ready. Our first entry in our Little Black Book is Carolyne Braid and her team at Winnipeg Pole Dancing. After perusing their website for almost an hour, lol, I am convinced I can rock a pole like no other:) I watched the video’s and I can so do that!!! OK, not really. I’d have to practice A LOT to get anywhere near some of those women. But they look like a TON of fun AND an amazing work out. Check them out on FaceBook too! The thing we love most about their philosophy is that their business is for the everyday woman. We love that, as that is our philosophy too. Why did you start your business? What inspires you? I was watching Oprah and she featured Sheila Kelly who was offering pole dancing for the everyday woman. Intrigued, I looked locally to see if there was anyone offering it â€“ there wasnâ€™t. Undeterred I bought a pole and a DVD and began teaching myself. I began to notice some changes â€“ I was becoming leaner, stronger and I felt sexier. This was something that needed to be shared with other women and I turned it into a business. I have now been in business for 6 years and have a part-time staff of ten. What does you business offer? We offer products three distinct areas â€“ FUN, FITNESS, and FANTASY. Â FUN â€“ parties to celebrate any occasion including pole dancing, chair dancing, burlesque and belly dancing. Parties can be hosted either in the privacy of someoneâ€™s home or in one of our many partners, including Canad Inns. FITNESS â€“ we have a comprehensive fitness program which is suitable for women of all ages, shapes, sizes and fitness levels. FANTASY â€“ for those who wish to experience all that the pole has to offer, we offer fantasy classes where through private lessons, we will choreograph a full routine. Where do you see your business in the future? The next step for the business is to open a formal location. How do you balance work/family? My days start very early and end very late. Family is squished in between. I also make a point of finding one thing which is purely for me and non-work related. Currently I play on a dodgeball team! Challenges: I get far to intense and stressed out when I have too much on my plate. Â A good workout usually helps re-set my mood. If not, I drink a redbull. Canâ€™t live without: my morning work-out. Little known fact:Â I used to call bingo. Thanks so much Carolyne! …or can we call you Babe? Â 😉 It was so nice to “meet” you! We know, we know, Valentine’s Day was yesterday but it’s only today that we are ready to announce that we are in love. Head-over-heals, pinch-us-we’re-dreaming, in love with our new STUDIO!!! Yay! Now we have a space Â for our sessions that we can use whenever we want and don’t have to lug a ton of props to every session. Unfortunately, you will have to be patient for pictures but as soon as we can, we will have a full blog post with beautiful images of our gorgeous space with so much yummy light! Beginning March 1st we will be calling our new studio home and we are so excited! So excited, that we want to pass a gift on to a few lucky clients! The first 3 Signature Coco sessions reserved and booked for the month of March will receive their session fee ($350) back as print credit*! Call us asap to reserve your session as these will go fast!! We are always on the look out for items to add to our “Coco Closet”. While we don’t provide all clothing and lingerie for your session we like having a few non-intimate items on hand to add. When we saw this corset we could not resist buying it. It has our name written all over it! So when you are ready to book your session, this will be a piece you can use! How does one define beauty? Everyone has a different perspective on what they believe beauty to be. In my opinion beauty can not be defined. Â We all know what “it” is, to see it, we want a piece of it, perhaps even want to reach out and touch it. Â What about feeling it? Feeling it from within ones soul, where it’s natural allure and charm captivates beauty itself. Â This is in every woman, with her own sense of what beauty is, her own individuality, a woman who is at ease with herself and knows who she is or strives to be. Â That’s my personal take on the word we love to say and be. With the Wedding Show behind us and the inquiries coming in from the show, we are a couple of busy women,lol! We are more than happy to answer any and all questions you have about booking and preparing for your session. But the #1 question that is coming at us this week is… “What do we wear? ?” Once your session is reserved you will receive a complete what to wear guide. And if you are still not sure bring a whole bunch of stuff and we will help you decide at the shoot. For now I thought I would address some things about wardrobe over the next few days. Look for more posts this week and next about what to wear for your session! We love pretty tops, henley tops, sweaters, and cardigans in a boudoir shoot. Trench coats, leather jackets, dresses too. So go through your closet, look for lacy, shear, off the shoulder, chunky knit clothing that you already own!